BADco. 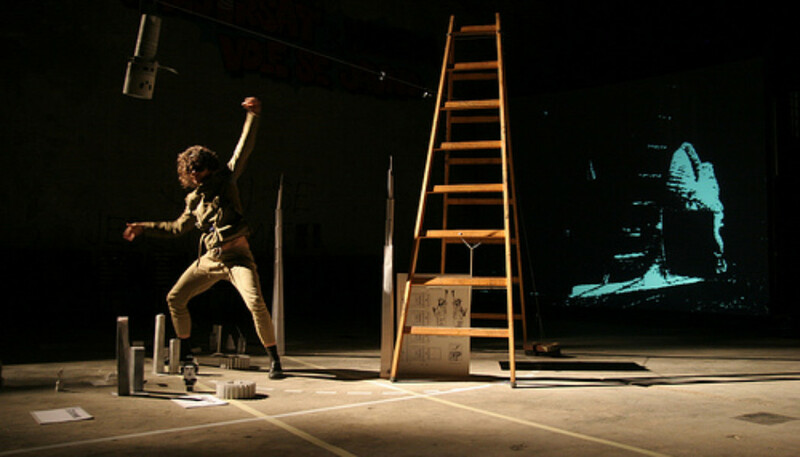 is a collaborative performance collective based in Zagreb, Croatia. The artistic core of the collective are Pravdan Devlahović, Ivana Ivković, Ana Kreitmeyer, Tomislav Medak, Goran Sergej Pristaš, Nikolina Pristaš and Zrinka Užbinec. As a combination of four choreographers / dancers, two dramaturgs and one philosopher, since its beginning (2000), BADco. systematically focuses on the research of protocols of performing, presenting and observing by structuring its projects around diverse formal and perceptual relations and contexts. Reconfiguring established relations between performance and audience, challenging perspectival givens and architectonics of performance, problematizing of communicational structures – all of that makes BADco. an internationally significant artistic phenomenon and one of the most differentiated performance experiences. So far the group has produced the following performances: Man.Chair (2000),2tri4 (2001), Diderot’s Nephew or Blood is Thicker than Water (2001), Solo Me(2002), RibCage (2002), Walk This Way (2003), Mass (for Election Day Silence) (2003), Deleted Messages (2004), Fleshdance (2004), memories are made of this… performance notes (2006), Gravidation (2006), Changes (2007),1 poor and one 0 (2008), The League of Time (2009).